The Lonsdale L-Core Colossus is made from quality hide leather and designed to withstand super heavy hitting. Measuring 5ft (152.5cm) and weighing approximately 60kg (132lbs), Colossus is the biggest punch bag in the Lonsdale’s range. It features the L-Core technology that reduces shock impact to wrists and hands and ensures a more responsive feel. This sturdy tri-colour bag is laced at top and requires a 6-hook chain for hanging. 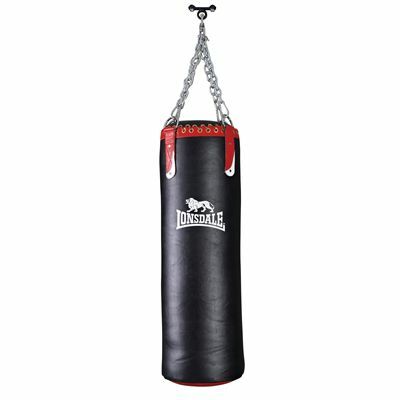 for submitting product review about Lonsdale L-Core Colossus Leather Punch Bag.